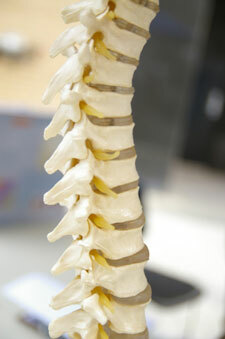 Dr. George’s extensive experience has allowed him to determine the most effective hands-on chiropractic techniques. We’ll use only the best methods to give you the quickest recovery. A dynamic thrust is used, or an instrument to give you a precise, gentle adjustment. We can supply you with beneficial sleeping aids or supports to wear while you’re lifting or sitting for extended periods. Acute flare-ups in the low back and neck will be prevented, and the sleeping aids may even help snoring by positioning your head and neck correctly. Dr. George will show you how to use Kinesio® Tape to give extra support to weakened areas in your body. We’ve seen that patients who tape their wrists for several weeks while seeing us regularly didn’t need surgery for Carpal Tunnel Syndrome! Dr. George uses pressure or vibration over your frontal, zygomatic and maxillary sinuses to help them effectively drain. Many of our patients seek our help for sinus problems. Every man, woman and child is mineral deficient. Dr. George can give specific recommendations for a pill or liquid form of a supplement that he’s found most effective based on his personal use. He has a book with vitamins and herbal remedies collected over his years of practice and is ready to put them to use as a complement to your chiropractic care. Dr. George never uses more force than necessary during your adjustments. Once you experience his hands-on healing, we’re confident any concerns you have will be laid to rest. When appropriate, we can use instrument-based adjusting for a gentler touch. With so much to offer, we’re ready to help you! Contact us today to start by scheduling your first appointment.